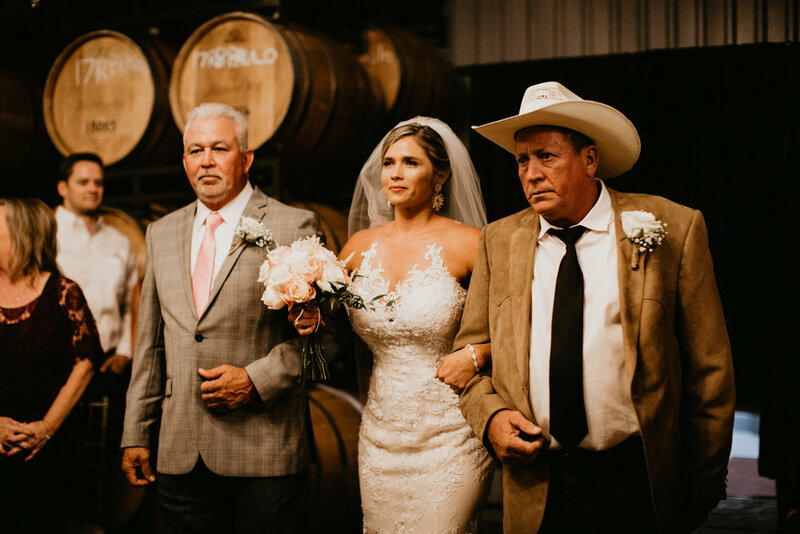 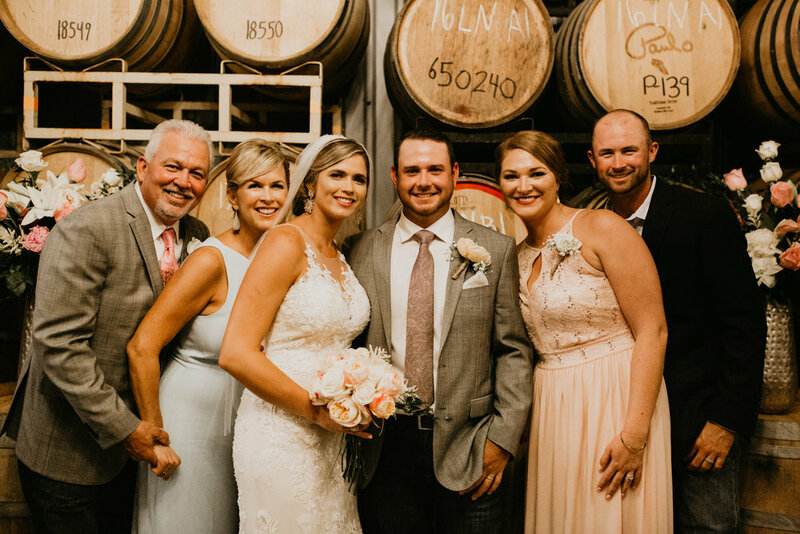 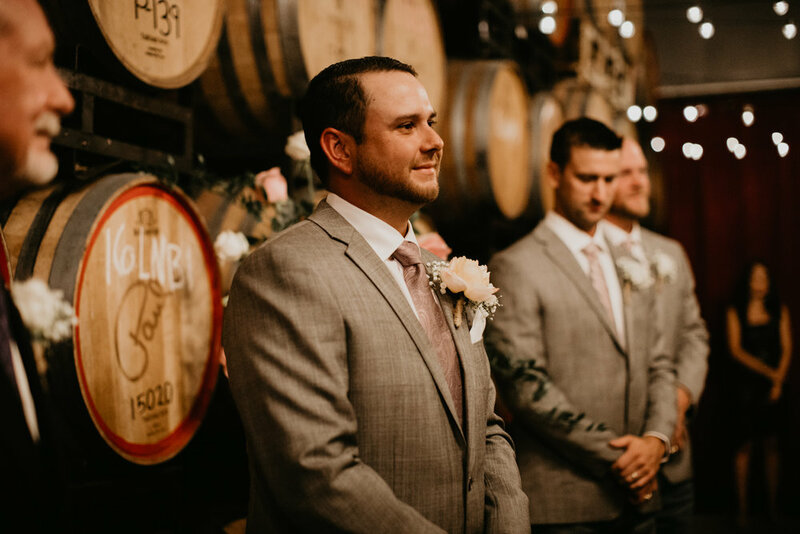 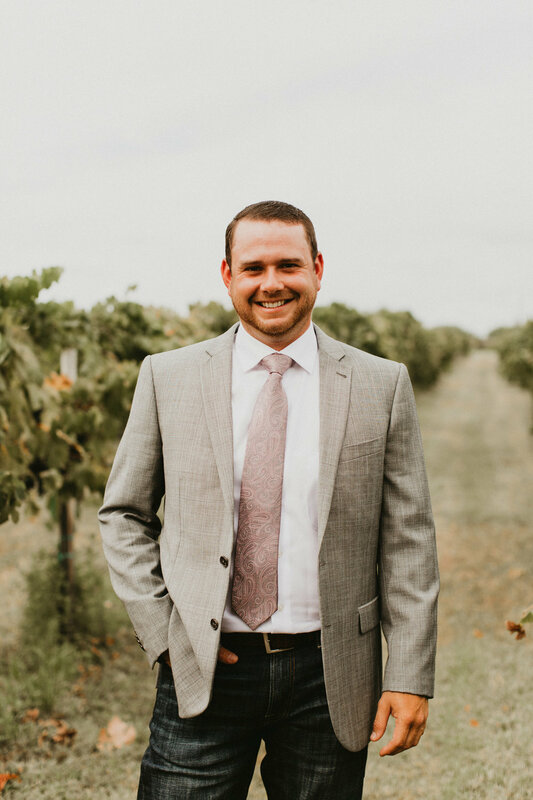 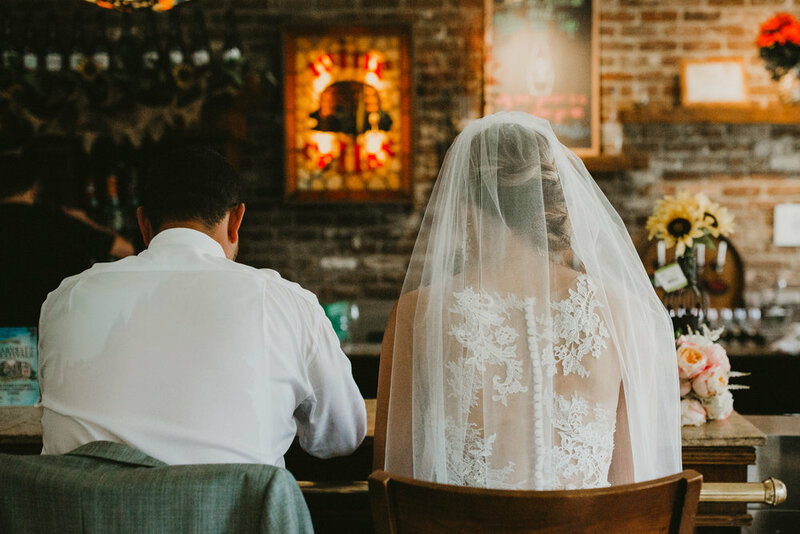 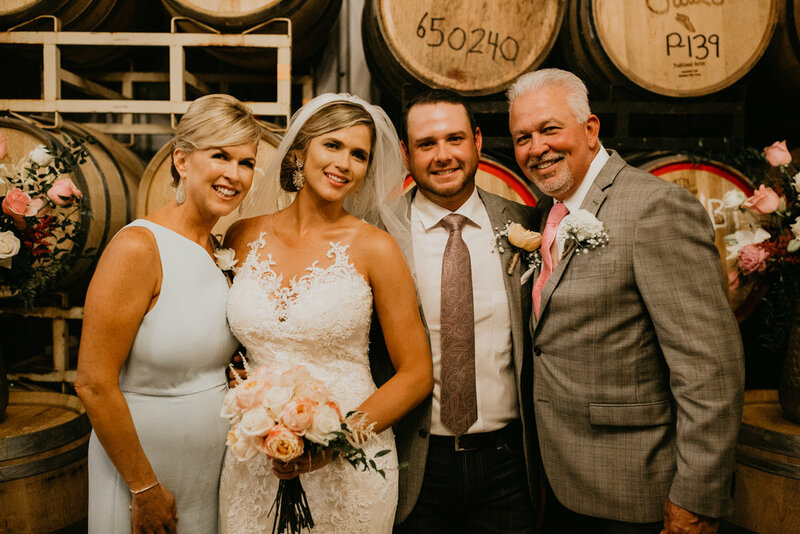 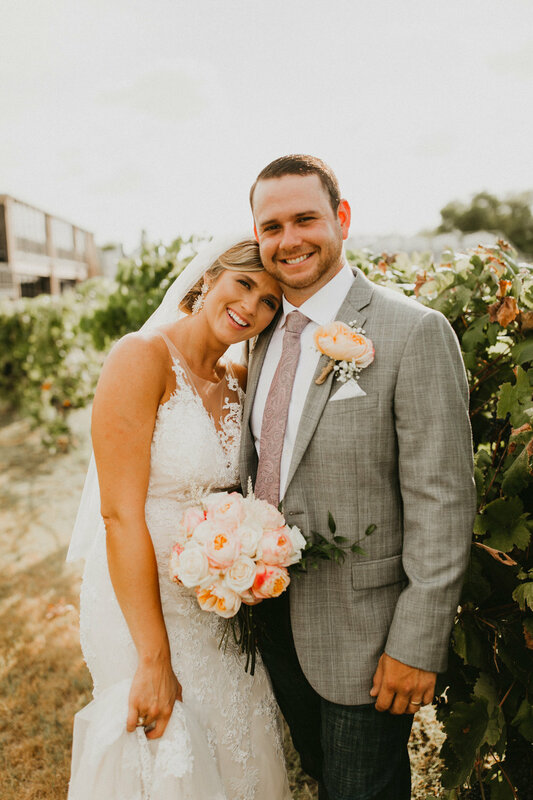 A Texas winery wedding. 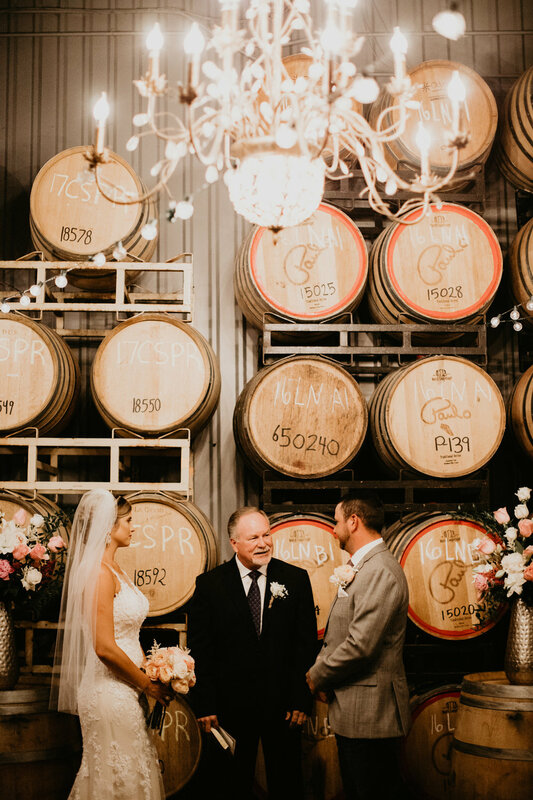 Now that’s something I can get behind. 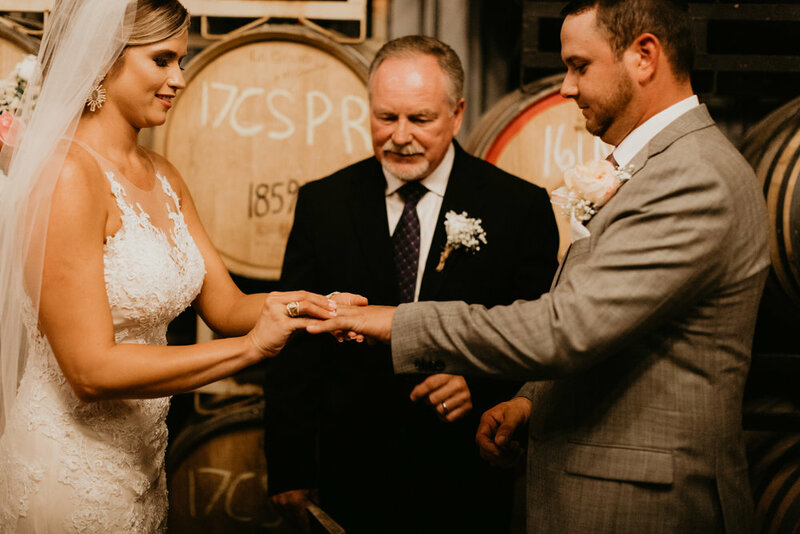 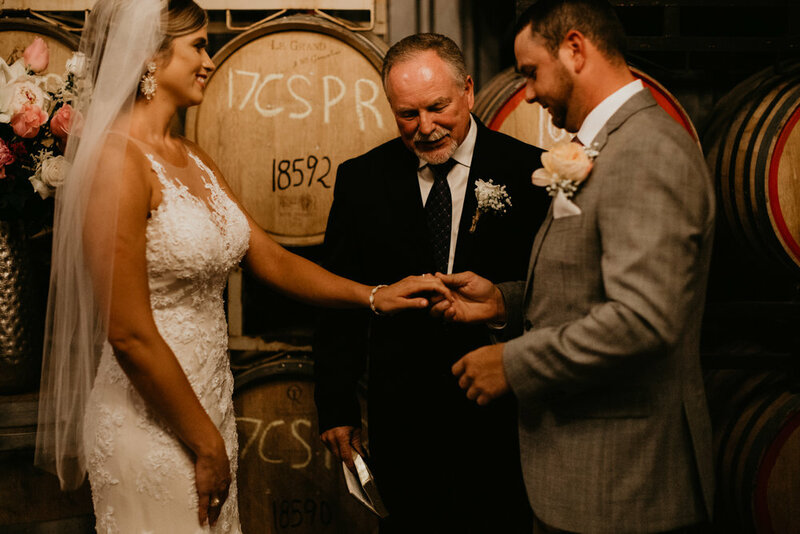 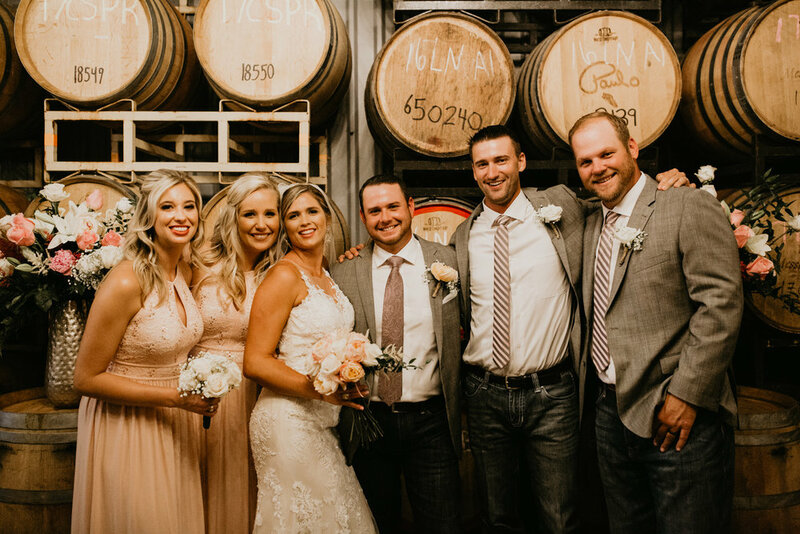 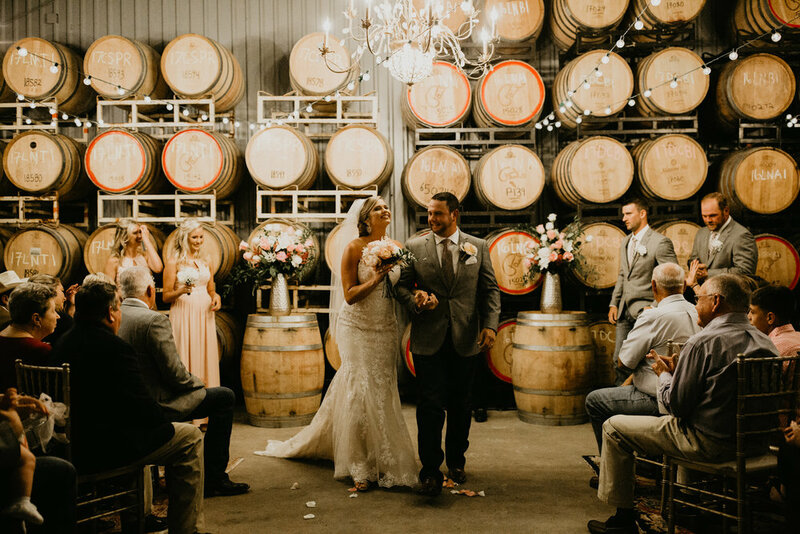 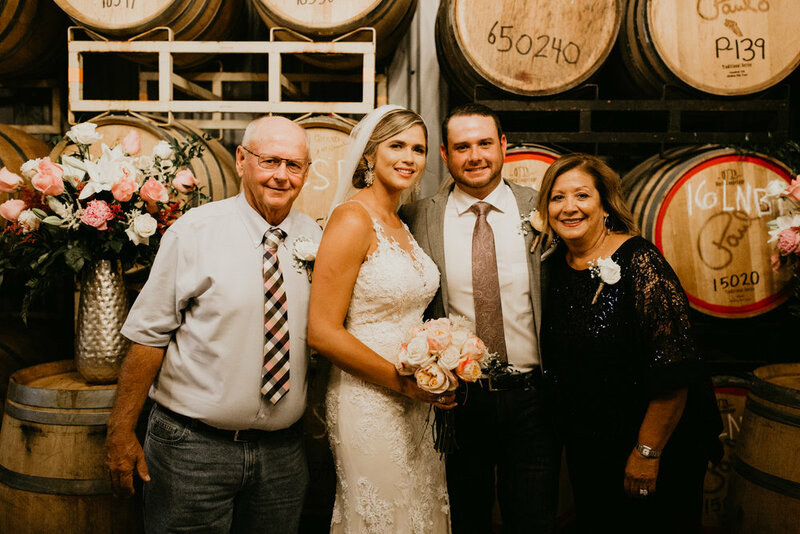 In the Messina Hof wine cellar room, Kendall & Koby squeezed in with their closest loved ones to make it official! 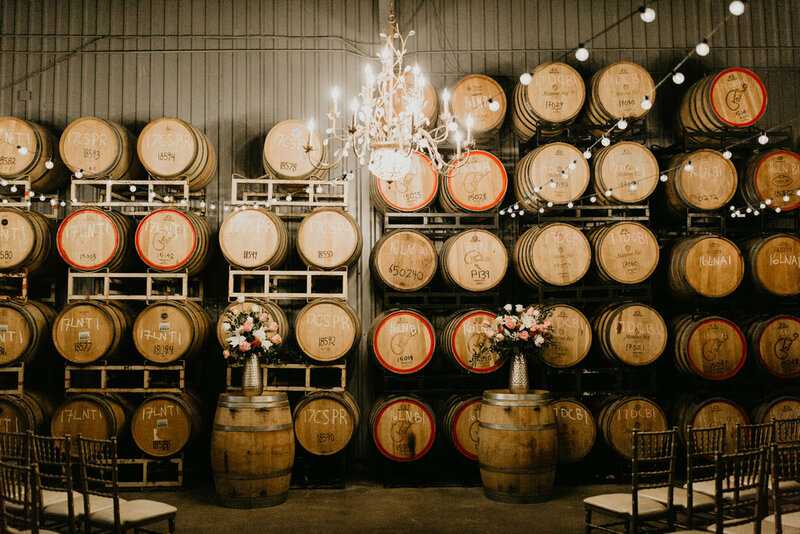 It was all my moody lighting dreams, warm wood & red carpet. 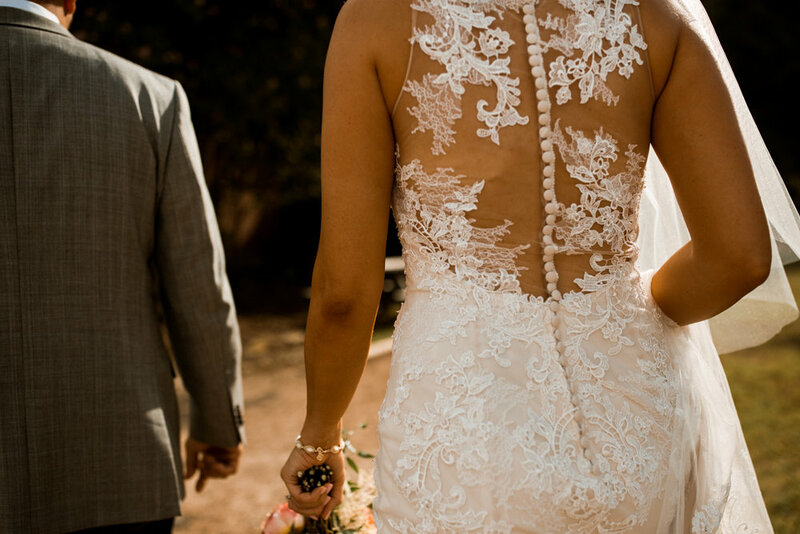 Basically perfection. 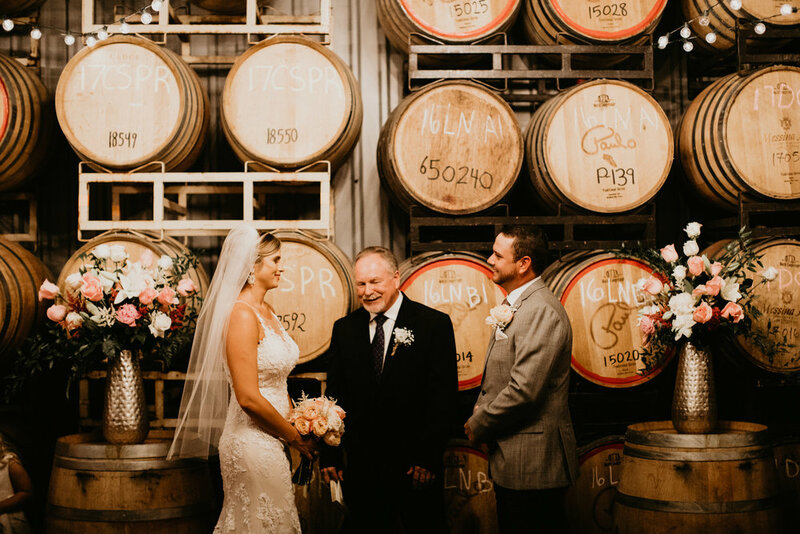 It was also a zillion degrees outside, so we stayed in the lovely air-conditioned cellar until it was time to quickly get some outside photos! 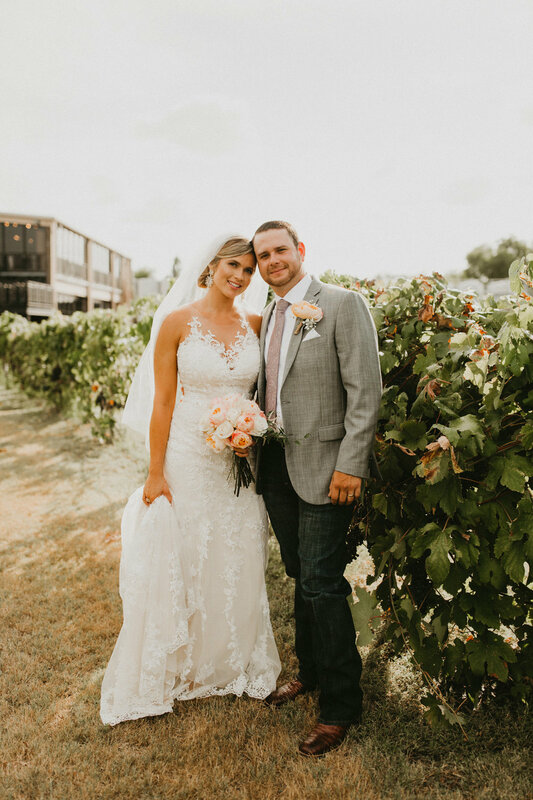 After about 15 minutes outside, we finished the Mr. & Mrs. photos by drinking some incredibly wonderful wine. 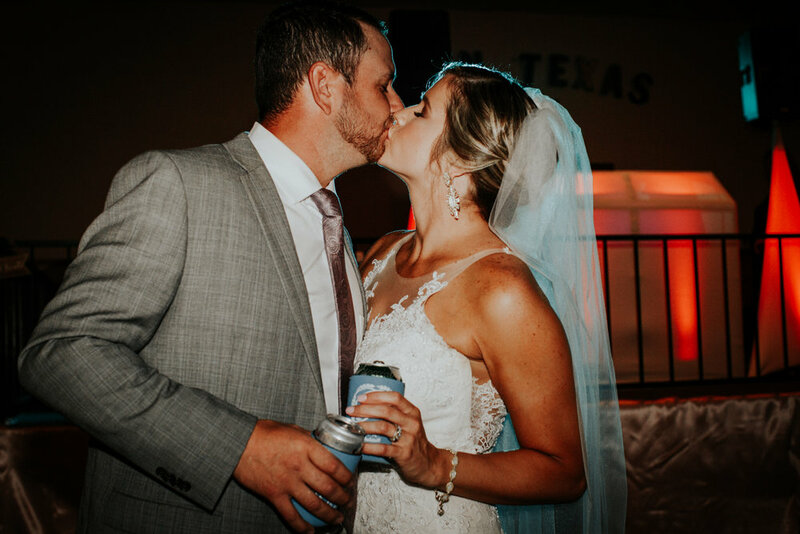 I loved how they wanted some time to themselves to enjoy their first drinks, and they made this a moment for them to remember!